I was in high school, back in 1971, when I first saw The Red Detachment of Women. This revolutionary ballet from China had been put on film and was seen by millions of people around the world. I was part of a whole generation of youth inspired by the revolution in China. We read Mao’s Red Book and everything we could get our hands on about how the masses of people in China were building a new socialist society aimed at doing away with all oppression. We studied the many philosophical and theoretical works being written as part of the Great Proletarian Cultural Revolution, the fierce class struggle being led by Mao. And we studied the literature, movies, art, plays and operas that were produced as a crucial part of the struggle. The Red Detachment of Women was a particular favorite of a lot of people. It had great stirring music, and incredible and innovative ballet. And we all liked the story, which takes place in the 1930s during the war of liberation, about a young woman slave who escapes a brutal landlord and joins a women’s detachment of the Red Army. This Model Revolutionary Opera, as well as others, inspired us and gave us an historical as well as living sense of the struggle to build socialism in China. Today, China is no longer a socialist country. After Mao’s death in 1976, a reactionary coup overthrew proletarian rule and turned China from socialist to capitalist. But the Yang Ban Xi—the Eight Model Revolutionary Works developed during the Cultural Revolution, which include The Red Detachment of Women, The White Haired Girl, The Red Lantern, and Taking Tiger Mountain by Strategy—are still very popular in China, especially among the generation that actually went through these times, but among the younger generation as well. A recent documentary, Yang Ban Xi: The Eight Model Works, directed by Yan Ting Yuen, interviews people who were involved in creating and performing in the Yang Ban Xi, from 1966 to 1976. The director notes that these people all looked back at this as a stressful, but great time in their lives—”a time in which they actually believed, desperately wanted to believe, that Mao and his communist party held the key to a righteous world with equal opportunities for every person.” And there are many interesting things to learn from the movie—about how people took up the creation of revolutionary art, its influence and how people in China look at it today. But overall, this movie is an anti-communist attack on the Yang Ban Xi and the Cultural Revolution as a whole. And like much of the attacks on the Cultural Revolution, this movie starts (and ends) with the stories of individuals who talk about how their lives were adversely affected by the Cultural Revolution. To really understand and appreciate the significance of the Yang Ban Xi, we have to start with the question, what was the problem in society that the model works were trying to address? And what role did these model works play in the overall efforts to mobilize and involve the masses of people in revolutionizing every part of society—including themselves? In any society, culture and art play a tremendously important role in influencing people one way or another. And in socialist China, it was a powerful force—for revolution or against revolution, for the status quo or against the status quo, for the building of socialist society or for the restoration of capitalism. 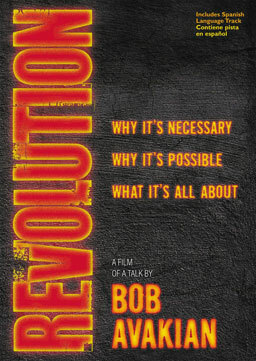 The Great Proletarian Cultural Revolution of 1966-1976 was a mass revolutionary upsurge that involved hundreds of millions of people in a kind of “revolution within the revolution.” It was a profound and intense struggle over the direction of society and over who would rule society: the working people or a new bourgeois class. Mao and the revolutionary forces in the Communist Party mobilized people to rise up to prevent capitalist takeover and to shake up the higher levels of the Party that had become increasingly cast in a bourgeois-bureaucratic mold. And the Cultural Revolution was also much more than that. The masses carried forward the revolutionary transformation of the economy, social institutions, culture, and values and revolutionized the Communist Party itself. This is what Mao called continuing the revolution under the dictatorship of the proletariat. Foundational to building socialism is the continuous transformation of the production relations, that is, the relationships people enter into in producing the requirements of life. These production relations include who owns and controls the means of production—which class and in whose class interest they are being used. They include how people relate to each other at work—for example, is there rigid and unequal stratification, or are efforts being made to break down divisions between things like mental and manual labor and develop a spirit of cooperation and innovation among everyone. And production relations also include how goods are distributed—is there an emphasis on providing necessities to all, aiming for a goal of common abundance and narrowing gaps in wealth and compensation, or are people being motivated through things like bonuses, cut-throat competition and appeals to personal wealth. These production relations are not a static and once-and-for-all thing. And under socialism, transforming the way society carries out production must be a conscious, constant and dynamic process that is full of challenge and change. There is a real question of whether this whole process will keep moving in the right direction, towards the abolition of class society, and as part of the worldwide struggle for communism—or whether it will fall back into capitalism. The superstructure—the political institutions, laws, customs, ways of thinking, culture, etc. that arise on the basis of and reinforce the production relations in society—is crucial in all this. Especially the state itself. Which line is in command of the state? What policies are being carried out? What direction is society being led to go in? And, very importantly, what kind of customs, thinking, and culture are being developed and promoted, and does this help or hinder the revolutionary transformations in society? In all this, art and culture play a very crucial role. Mao made the path-breaking theoretical discovery that under socialism, classes and class struggle continue to exist, and he pointed out that the reactionary classes will use literature and art to propagate reactionary ideas and promote the restoration of capitalism. He had summed up how in the Soviet Union, a new group of exploiters had arisen within the communist party, leading to the defeat of socialism and the restoration of capitalism. And Mao fought to find the means and methods to prevent the same thing from happening in China. This was what the Cultural Revolution was about—bringing these questions to the masses and relying on them to raise their conscious understanding through the struggle to change the world and themselves. The fact that socialism was ultimately defeated in China cannot change the truth and power of Mao’s contribution and the amazing accomplishments that were made during the Cultural Revolution—all against incredibly difficult circumstances and towering odds. Jiang Qing, Mao’s close comrade and wife, was put in charge of the struggle to revolutionize the Beijing Opera and develop model works. Under her leadership, instead of emperors, aristocrats, scholars, and gods, the common workers, peasants, soldiers and other revolutionaries were put center stage and made the protagonists. Their lives and role in society and history were portrayed. And significantly, strong women were prominent characters in the new revolutionary operas. The new revolutionary works developed many new, creative and innovative things. For instance, the traditional instruments in Beijing Opera of strings and percussion were limited in terms of expressing a full range of emotions. So Jiang Qing added many Western instruments, including the full range of winds, the kettle drums, the piano and the harp, which greatly enhanced the opera’s ability to achieve a lot more, musically, than it had in the past. In ballet, which was a relatively new artistic form in China, the artistic capacity was raised to a very high level. And it was not uncommon for thousands of artists to be brought together to pool their wisdom and talent together. Some people attack the Yang Ban Xi for being “propaganda.” They write off any works of art that have overt political content—and pose this against what they see as “art free from politics” which supposedly exists under capitalism. But I agree with Mao’s point that there is no such thing as art for art’s sake, that there is not art that is above politics. Art is a distinct sphere in life that is different than politics per se. But all works of art have a political character and are going to serve one kind of politics or another. In one way or another, they will put forward a view of how society is and how it should be, and will represent the point of view of one class or another. This should not be understood crudely and mechanically—this is not a linear relationship without contradiction or complexity. But the dynamic that exists between art and politics is important to recognize. And as became very clear during the Cultural Revolution in China, the superstructure in society—the political institutions, laws, customs, ways of thinking, culture and so on—reflect, as well as act back on, enforce and reinforce, the prevalent economic relations. So for instance, the old Beijing Opera, which promoted kings, emperors and ghosts, reinforced feudal economic and social relations, customs and thinking. And the new revolutionary Model Works, which put the masses of peasants, workers and soldiers on the stage as heroes, promoted and helped propel the struggle to revolutionize production relations in society—like the breaking down of inequalities between mental and manual labor, between town and country, and between men and women. Jiang Qing’s role in the development of the Yang Ban Xi put her at the very heart of the Cultural Revolution—and made her a hated target of those “capitalist roaders” in the party who were set on overturning socialism and restoring capitalism. To this day, those who attack the Cultural Revolution have particularly strong venom for Jiang Qing. The movie Yang Ban Xi uses downright dishonest methods to portray Jiang Qing as totally evil and ruthless. Throughout the film there is a shadowy character sitting on a stage. You can’t see her face, but you hear her voice, talking in a sinister and callous way about how she took revenge and put people down. It is supposed to be Jiang Qing. But later, after the film is over—and only if you actually read the credits carefully, do you find out that the whole dialogue attributed to Jiang Qing is made up! It is concocted from the book Madam Mao: The White-Boned Demon by Ross Terrill, which itself contains a lot of anti-communist misinformation used to portray Jiang Qing as a totally ruthless dictator. In the director’s notes to the movie, Yan Ting Yuen admits: “In the documentary she (Jiang Qing) is a fictional character with fictional comments, her comments are slightly based on real facts of her life. Since her comments are fictional, she is as you can say in a scenario: an unreliable voice-over.” But most people viewing this movie will have no way of knowing this! This movie also repeats a claim often put forward by many others who attack Jiang Qing and the Cultural Revolution, that the Yang Bang Xi were literally the only cultural works people were allowed to see. But in fact, the Cultural Revolution was actually a time when a tremendous amount of culture was produced and flourished throughout society—in a way that it had never happened before and that involved hundreds of millions of people, not just as spectators, but as non-professional practitioners of art. As part of all this, a lot of emphasis was put on bringing revolutionary cultural works to the peasants in the countryside and having common people take up the production of revolutionary culture as part of and integral to the struggle to revolutionize all parts of people’s daily life and thinking. There were, I think, real problems—not with the concept of Model Operas, but with how things did seem to be limited in terms of not having more of an approach of producing model works, and, at the same time, promoting a more widespread, less-controlled, not so top-down-led flourishing of artistic work—including things that represented dissent and disagreement with the official line and policies of the government and the Communist Party. And I think this was also related to a view of seeing too much that the way to deal with reactionary art was just to “outlaw” it. There also seems to have been a tendency to rule out certain artistic forms as being inherently non-revolutionary. Revolutionary, proletarian art has certain content—a content, which in many different forms and ways reflects the outlook and interests of the proletariat and in this way contributes to the goal of bringing about a communist, classless society. But I don’t think there is any one particular form or forms that should or can be used to create revolutionary art—to the exclusion of others. Bob Avakian has written a lot about the need for socialist society to have a “solid core with a lot of elasticity”—which are very relevant to the discussion and assessment of the Model Revolutionary Works in China. 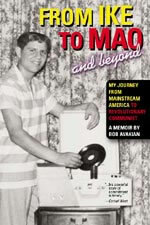 On the basis of upholding and building off the historical experience of proletarian rule in the Soviet Union and China—learning from positive as well as negative examples—Avakian has developed a new and exciting synthesis, re-envisioning socialist society and how the proletariat can and must, in the future, correct the shortcomings of the past—and take the struggle for a communist world even further and higher the next time around. 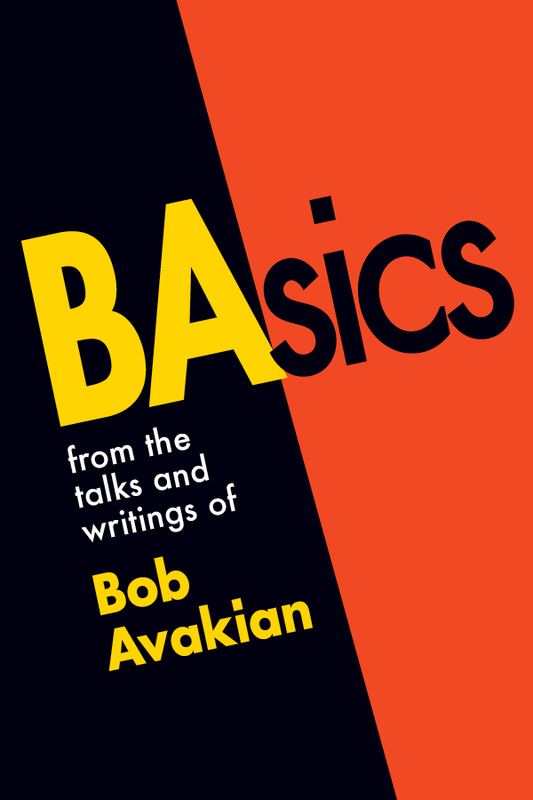 I really recommend that people read Bob Avakian’s works, including the book Observations on Art and Culture, Science and Philosophy, to get his new synthesis on what the character and dynamics of socialist society have to be. One of the crucial questions addressed by the Model Revolutionary Works was “art for whom?” And it is very striking that many of those who attack the Model Works just don’t get at all what the stories portrayed in these works meant to the masses of people. For example, one reviewer of the movie Yang Ban Xi wrote: “Some of the film clips, however, are simply beyond hysterical, with their impossibly garish colors, neo-socialist choreography and vapid storylines about evil landlords punished for such unpardonable sins as charging high rents and excessive interest.” But what this reviewer considers a “vapid story line” was real life and death to hundreds of millions of people in China who had suffered tremendously under oppressive landlords, lived through decades of war and made great sacrifices to liberate China. The operas incorporated real revolutionary themes swirling in society—like the struggle to “break the four olds”—old ideas, old customs, old culture, and old habits. These were no small matters. Because of high rents and excessive interests—and all the traditions, culture and ideas that reinforced the power of landlords and other oppressors—millions lost their land, were forced into prostitution, had to sell their children, and starved to death! When I traveled into the Maoist guerrilla zones of the People’s War in Nepal in 1999, I attended a cultural program in the revolutionary district of Rolpa. A people’s army cultural squad performed revolutionary skits, songs and dances for hundreds of peasants who had traveled many hours in the dark of night to attend. In a society where most of the people are illiterate, such cultural programs are a very important way of spreading revolutionary ideas, combating feudal thinking, and conveying news of the struggle. I remember one scene in a mini-opera where a young guerrilla soldier is killed. I noticed that many people in the audience around me were softly crying. And it suddenly struck me how real the themes of the cultural works were for the masses of peasants who were fighting a life and death struggle against the government. The Cultural Revolution was a society-wide struggle in which millions of people threw their hearts and minds into the battle to determine the very future of society. As part of all this, the Yang Ban Xi played a very important role in setting high artistic and political standards in the whole realm of culture. And this was crucial in combating the revisionist line in art which promoted feudal and reactionary ideas as part of the whole effort to restore capitalism. Gao describes how such cultural works were in line with and made possible by changes in the economic structure and relations of society. He says the theater troupes were subsidized by the production team and were given full-time work points (the system of accounting by which people were paid) when they went out to perform and bonuses were given for the time they spent on rehearsals. The production team also paid for costumes and other costs, and Gao points out that without the support of a collective system this whole cultural enterprise would not have been possible. This again, points to how in socialist society, revolutionizing of the superstructure of education, culture, ideas and customs is a crucial part of revolutionizing the economic relations in society—and continuing along the path of building socialism as part of the struggle to bring about a classless, communist world, free of all exploitation and oppression.